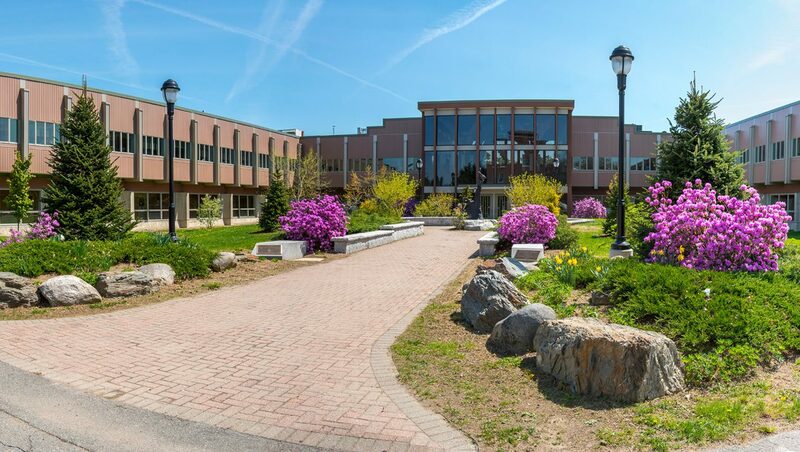 Nutting Hall’s revitalized courtyard and accompanying landscaping, dedicated in 2005, were part of the three-year celebration of the 100th anniversary of UMaine’s forest program — the longest, continuously accredited professional forestry program in the United States. Shrubs and other foliage are found on each side of the long courtyard. Rocks of different hues, as well as stonework, contribute to the overall effect. A centerpiece of the renovation is the 9-foot bronze sculpture of climbing bears by noted Maine wildlife sculptor Forest Hart. Look for the red squirrel at the base of the sculpture, as well as several informative plaques throughout the courtyard.